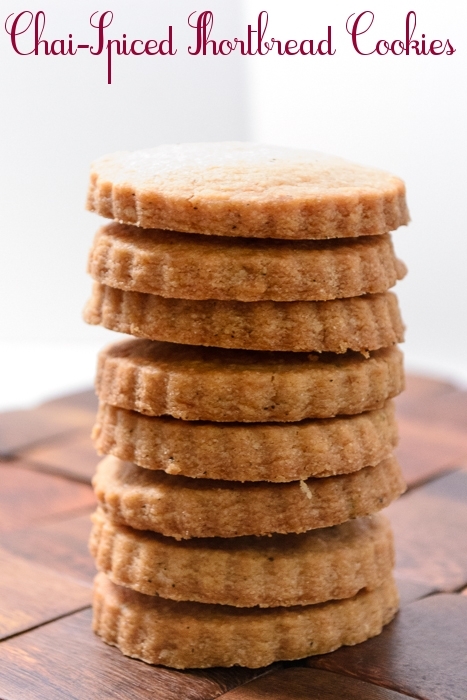 These cookies are so easy to make, they travel well, and they taste just like a warm cup of chai tea. They lend a perfect buttery crunch to balance out the other super-rich desserts and treats this time of year. In a mortar and pestle (or a small bowl with the back of a spoon), mash together the contents of 1 black teabag, 1/2 teaspoon cardamom, 1/2 teaspoon allspice, 1 teaspoon cinnamon, 1/2 teaspoon cloves, and 1/2 teaspoon nutmeg until all spices are well combined. In the bowl of a stand mixer fitted with a paddle attachment, mix together the butter and 1 cup of sugar until they are just combined. Add the vanilla. In a medium bowl, whisk together the flour, salt, and spice mixture. Add dry ingredients to the butter-and-sugar mixture. Mix on low speed until the dough starts to come together. Shape dough into a flat disk. Wrap in plastic and chill for 30 minutes. Roll the dough 1/2-inch thick and cut with your desired cookie/biscuit cutter. 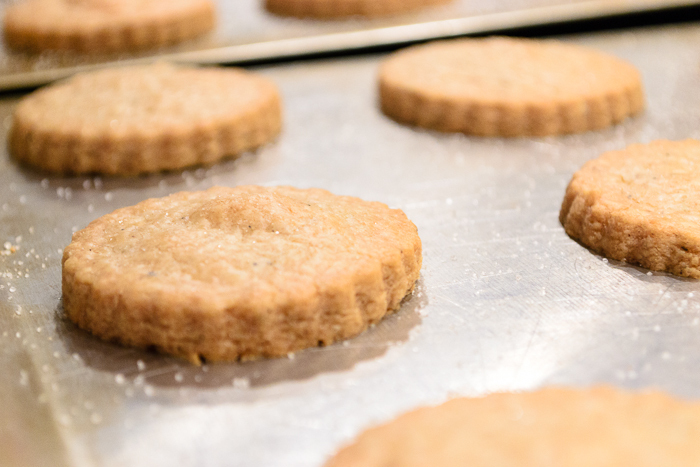 Place the cookies on an ungreased baking sheet and sprinkle with sugar. Bake for 20 to 25 minutes, until the edges begin to brown. Allow to cool to room temperature.